I work with a large range of retailers who all have a common problem – they all know that their online properties are an important part of their companies’ overall business strategy (and may be the growing part of the business) but in many cases those same retailers are lacking in the knowledge required to push all of those potential online Gold mines to the max. What retailers really need to know is that because of the rapidly changing face of the Online World, it really isn’t all about ‘Search Engine Optimisation’ or ‘paid advertising’, what’s required is a more rounded approach incorporating a large range of different marketing and advertising methods. 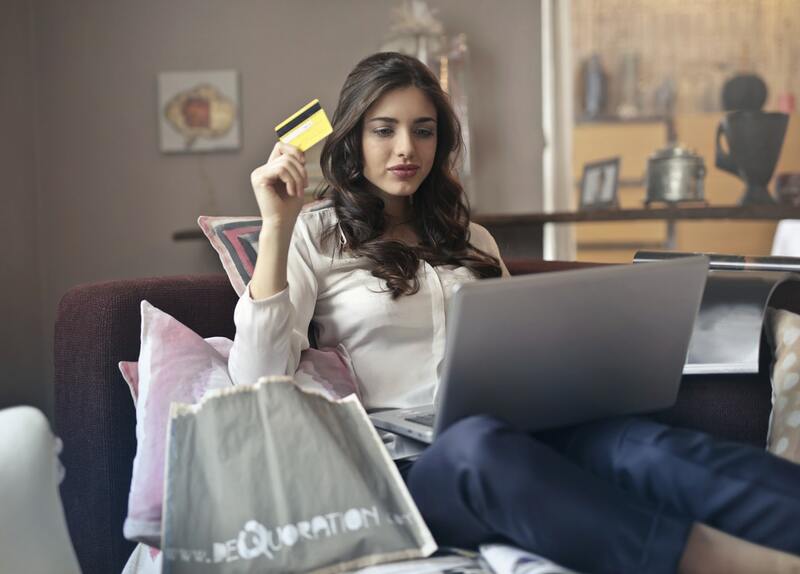 In today’s hyper-connected, social media driven World, the very people retailers are trying to sell to are reachable via many different channels. The simple fact is, those retailers who utilise multiple online marketing methods win, others just fall by the wayside or at least struggle to get a foothold onto what can be a very slippery slope in the more competitive trading verticals online. As with many things in life, to get the right answers, sometimes you have to ask the right questions. As an eCommerce retailer, your first question should be ‘what can I offer to make my company different?’ This is a pretty broad question, but it does point to a fundamental but sometimes overlooked truth to online selling: Niche, unique or hard to source ranges of products are far, far easier to sell online than readily available ranges with lots of competing suppliers. Going as niche as possible is of course a good strategy on the high street as well but with the online marketplace you aren’t restricted to a limited pool of potential local buyers for your products, you literally have the whole World to sell to, which makes stocking ultra-niche products an enticing and lucrative idea. Secondly, if you do manage to find a niche product range, which admittedly is a lot harder than it used to be, make sure everyone knows about it. Your website should be full of unique text about the range, social media profiles should scream that you’re the people to talk to and you should be doing regular bulk emails to back everything up. So you have your niche ranges, your prices are competitive (or even better, you’re the cheapest online) and you have the knowledge required to push the products, what do you do next? Firstly, make sure every one of your product range on your eCommerce website has a unique product description. This should be in normal English sentence structure, be well written and have no grammatical or spelling errors. Try to avoid bulleted lists, too many line breaks or HTML tables as the lead to product descriptions. Our experience has shown that normal English sentence structure containing a good mix of related keyphrases and synonyms is the way to go. Next add category content backing up what your range is all about. This allows you to optimise for higher level keyphrases (like brand name, product type etc) and as you are adding even more unique text, Google will like your website even more. Don’t forget that to be truly successful with an eCommerce website you have to promote not only return to the website but a sense of community, so think about providing useful articles and information on your website around the area that you’re selling in, these can then promote external linking, which will be required to grow your website’s reputation with Google. Once the website is sorted out with all this unique text, get your social media profiles set up if these haven’t been done already. Most social media sites now offer a business or promotional page, so get your personalised page name and add information all about your business (and of course, your unique, niche ranges!) Once done, make sure you converse with visitors to your social profiles. Successful use of social media could warrant a full library of books all in itself, but safe to say if you do have social media profiles and you don’t monitor interaction constantly, it can be a hindrance, not a benefit to your business. Once you have social profiles, many services now offer paid advertising, for instance Twitter offers ‘sponsored tweets’, Facebook offer targetted ‘Facebook Ads’ and Pinterest offer ‘Sponsored Pins’. Utilise all of these to get the best exposure for your business pages and website. Successful eCommerce trading isn’t all about getting people to your website. To be truly successful, a retailer needs to remove any objection to purchase so that more of the visitors to the website convert into paying customers. To this end, think about the way the technology being used to create the eCommerce website supports the conversion funnel. Do website users drop out at any specific point? What is stopping users from proceeding from basket to payment? Careful analysis of conversion and traffic data within the website can help pinpoint a myriad of issues. If in any doubt, take a look at how Amazon sell online. Technology like one click checkout may not be possible on your eCommerce platform, but you should strive to get as close to this ideal as possible in order to shorten the route from basket to payment. Abandoned baskets can be a real headache for smaller retailers. This is one of the major reasons that eCommerce conversion rates are low (around 3.3%) for many smaller eCommerce retailers in the UK. Contrast this with the average eCommerce ‘add to basket’ rate of 14.5% and you can see the potential uplift from capturing more of those baskets. A smoother payment system can definitely help here, but abandoned basket email/sms technology, the use of remarketing ads and stock update messages to customers are required to really push conversions up. There are many other things you can use to push your online business forward, such as affiliate advertising (advertising through a network of partner websites, offered by Google and many others), utilising review sites and quite a few others, however if you get the basics of SEO, SMM, Email Marketing and Pay Per Click going you will see immediate and long lasting improvements in turnover and make your eCommerce website a sustainable and valuable part of your business.